On August 12, 1883, the last known living specimen of the Quagga died, and the species became extinct. This Zebra-like critter had only the front half of its head and body striped, and unfortunately, only 1 photo of a live Quagga is known to exist. Human encroachment on the habitat of the Quagga, including European colonization of Africa, farming and fencing, and hunting led to the extinction of this nifty looking beast. 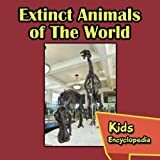 We previously listed “10 Animals Extinct or Endangered Because of Humans,” and today we list “10 More.” What animals would you add to the list? Did you know that Rhinos once lived in Europe and Great Britain? Well, they did, from around 350,000 years ago until climate change and human hunting caused them to go extinct around 10,000 years ago. Similar to modern Rhinos, the Woolly variety was covered in a blanket of long hair similar to the Woolly Mammoth they shared the countryside with. Their size was 10 to 12 feet long and they weighed 3000 to as much as 6000 pounds. In 2015 the intact remains of a baby Woolly Rhino were found in Siberia, and a couple of nearly intact bodies of adult Woolly Rhinos have been found in the Ukraine. Can they be cloned? Only time will tell. Bison antiquus, a North American buffalo went extinct 10,000 years ago, and another ancient Bison, Bison occidentalis (Alaska and Canada) from North America went extinct 5000 years ago, mainly due to human predation and competition from other grazing animals. Both Bison species are related to the modern Bison bison that we call “Buffalo,” which appeared about 5000 years ago and replaced the older types. These modern Bison were nearly sent into extinction by the United States Government, through a program of wanton killing of Bison in an effort to deny Plains Indians of their main source of sustenance, enabling the government to “tame” the Plains tribes. A member of the Bear family, these beautiful creatures eat mostly bamboo, but are capable and willing to eat meat if given the opportunity. Their bear-teeth and bear-claws also make them dangerous to humans despite their cuddly appearance. Human predation and habitat loss because of human encroachment caused their numbers to nose dive, until conservation efforts began in the late 20th Century. In recent years, estimates of the wild population in a limited area of China range from 1500 to 3000. Without careful monitoring and protection, these gorgeous Pandas will be gone. 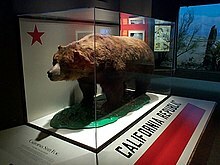 Also known as the California Golden Bear, or Ursus arctos californicus, this extinct bear is pictured on the State Flag of California, and yet it no longer exists. Although California was known as “The Bear State,” after the Gold Rush of 1849 the bears were quickly hunted to extinction, the last known specimen killed in 1922 and the last reported sighting of a live wild bear in 1924. An 1866 specimen that was killed weighed a staggering 2200 pounds. 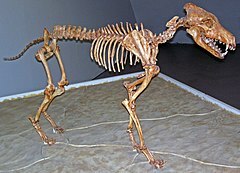 Other varieties of Grizzly Bears that were driven extinct by humans include the Mexican and North African (Atlas) sub-species. This huge (up to 30 feet long and 8 to 11 tons!) Manatee or Dugong type animal lived in the Bering Sea around the Commander Islands (between Alaska and Russia), and was discovered by Europeans in 1741. It is likely Native Alaskans and Native Siberians knew of the giant sirenians and hunted them, but once Europeans got in on the hunting, the lumbering Sea Cows were extinct by 1768! These lumbering giants fed on kelp, and their slow speed made them easy prey for humans. These colorful Parrots once roamed from the East Coast of the US through the Mid-West, and were 1 of only 2 Parrot species in the United States. (The other, the Thick-Billed Parrot is now confined to Mexico and no longer is found in the US.) Of course, the pretty feathers spelled doom for these beautiful birds, as did habitat destruction, and the last known member of the species died in 1918 in the Cincinnati Zoo, though the species was not declared extinct until 1939. Trivia: The last known Carolina Parakeet shared a cage with the last known Passenger Pigeon! Note: The Carolina Parakeet ate cockleburs which imparted a poisonous quality to its meat, and cats that ate these birds were known to die. The male of this duck sported a spectacular black and white color pattern, and the species is the first known North American species of bird to be driven extinct after the “Columbian Exchange,” the time period since the coming of Europeans to North America. As this duck of the Northeast US and Eastern Canada was said to taste bad, rather than over hunting, the culprit in its extinction by 1878 is believed to be the over-harvesting of its eggs. Hunting for its feathers and loss of shellfish beds upon which it fed may have also contributed to its demise. Okay, I admit people may not have caused the extinction of these giant salmon (9 feet long and weighing 1000 pounds! ), the largest Pacific Salmon, but since we do not know what killed them off around 11,000 years ago, for this list we will include them just so we could mention such a weird fish. While they probably had normal Salmon teeth as well, they also had a pair of fangs or tusks, that either were positioned in the front like fangs or to the side like the tusks of a wild boar. Scientists speculate that Oncorhynchus rastrosus may have used its oversized gill rakers to sift plankton from the sea and used the “Saber teeth” as breeding weapons. The Camelops was North American camel similar to the “Dromedary” (one humped camel) of the Middle East and North Africa and the Bactrian (two humped) camel of Asia today, although the Camelops was a little taller and heavier, at just over 7 feet tall at the shoulder and weighing around 1800 pounds. Scientist theorize the “Blitzkrieg Model” of people hunting the animals to death is responsible for their rapid extinction around 10,000 years ago.